I grew up in Coffeyville, which is a very small town in southeast Kansas. I had always been an introvert, and when I wasn’t at school or working, I spent the majority of my time reading, writing, or watching movies and television. My parents owned a Chinese restaurant, which I started working at from the age of twelve, and I saw firsthand how they struggled to provide for our family. They encouraged me to go into law or medicine, (which is a very traditional thing for Chinese parents to do), but I wanted to write. It was a battle for me to go against my parents’ wishes and pursue writing, but when they saw I was serious, they were nothing but supportive. I feel very lucky. I've never heard of the Gateway to Hell, the legend that inspired Hell's Game. Can you tell us a little about it and what inspired you to write about it? The Legend of Stull is that on Halloween night the Gateway to Hell opens, and demons can enter Earth through it and humans can fall into Hell from it. The Gateway was located in a church in the middle of Stull’s cemetery, very much like the Gateway in Hell’s Game. In fact, I named the town in Hell’s Game “Deer Creek,” which was actually the name of Stull before it became Stull. Since the Midwest influences my writing so much, I really wanted to tell a good story that centered on a local legend. I had been kicking around ideas about how to incorporate Stull’s legend in a unique way, and there were a lot of different versions before I came up with Hell’s Game. Can you tell us a little about the characters in Hell's Game without giving too much away? Hell’s Game is about a group of popular teenagers who are forced to play a high-stakes game in Hell after participating in a cruel prank. I wanted to write characters that were authentic to the Midwest, and I drew upon my memories to create Ashley Gemini, Jake Victor, and Kristin Grace, the three who play Hell’s Game. Ashley is the typical high-school queen bee. She’s beautiful, wealthy, and popular, and she gets away with being mean. She’s the leader of the group, and she’s the one who coerced Ronnie into entering the old church in the cemetery, which was the reason they had to play the game in first place. I think that anyone who has ever been to high school knows an Ashley Gemini, but I wanted to make her more than a one-dimensional high school villain. Jake is the town golden boy because he’s the star high school quarterback, and he really has a shot at going pro. Yet, in the story, he isn’t completely innocent. Although he’s a nice person, he doesn’t stick up for Ronnie when he should have, and that is the reason he is forced to play the game. The final player, the meek follower Kristin, is someone I really identify with because I was very insecure when I was her age. She goes along with Ashley’s schemes not because she is cruel but because she is too weak to stand up for herself and what is right. Kristin isn’t comfortable in her own skin, but as the story progresses, she finds her strength. 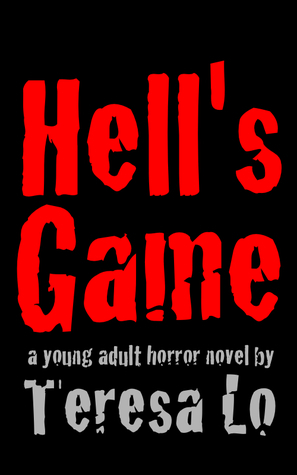 In Hell's Game, a group of teenagers take Ronnie Smalls into a cemetery to pull a prank on him. What inspired you to write about teenagers, in essence, bullying their peers? Bullying has become a recent hot topic in the news, but it has been going on forever and I think most people have been a victim of a bully at some point in their lives. When I was in high school, I had a big crush on one of the popular boys at school, and I thought he was my friend because we chatted a lot in class. However, one day, I was standing outside, and I saw him with a group of his friends and they were pointing and laughing at me as they made really offensive remarks about my race. The ring leader was this boy who actually bullied me for years, but I’ll never forget how I felt seeing my crush laugh at the ring leader’s jokes. That incident wasn’t the catalyst for me to write Hell’s Game, but bullying in general is a theme that I often address in my writing. It seems like there is a deeper meaning bubbling under the surface of your novel. What message would you like your reader's to take away from Hell's Game? Every character in Hell’s Game is affected by some form of evil, whether it’s harm inflicted by another person or harm inflicted by a supernatural force, and those evil acts create a negative ripple effect in everyone’s lives. The main message I wanted to share was that those who see or know of evil acts and do nothing are just as guilty as those who committed the crime. This could apply to anything, from bullying to violence. Thanks, Teresa, for sharing a little about yourself with us today. It just makes me want to read Hell's Game that much more! Be sure to check out Hell's Game at these great sites!